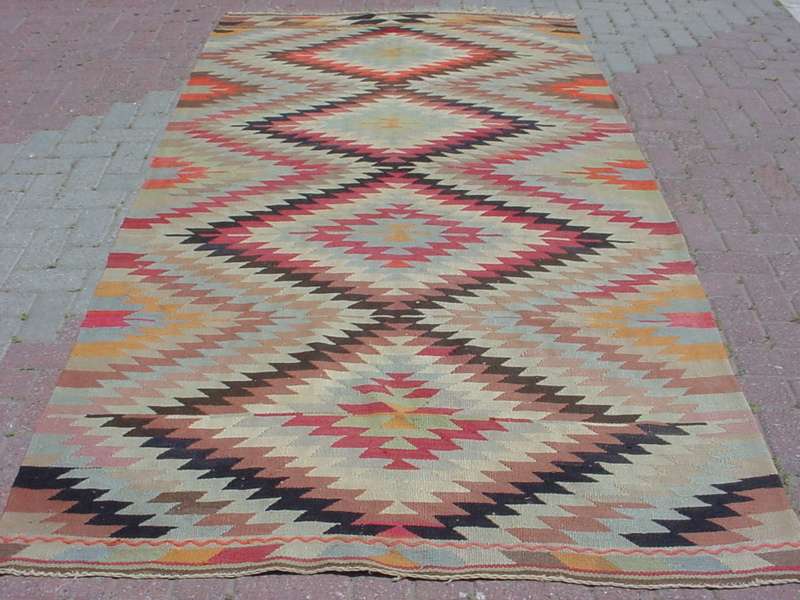 I have to admit I have a huge Kilim rug obsession And I mean HUGE! I just love the beauty that comes from the various colors amongst them. Each one is so different. You could drive yourself crazy looking at all the options and trying to decide on just one. One! I want them all. 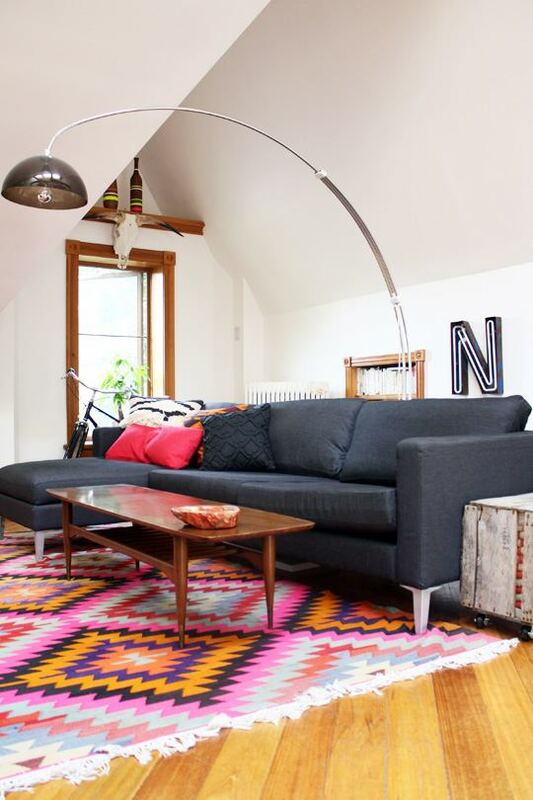 I thought if you haven’t come down with the Kilim rug obsession, that I’d try to introduce it to you. It can be pretty spectacular. These rugs can work in just about any room in your house…especially a kids room. Amber Interiors just released this nursery and she has used some of my most favorite pieces. The Kilim rug is just gorgeous and ‘The Animal Print Shop’ camel print above the crib is perfect. I spy a basket similar to one that I had seen at HomeGoods here too. 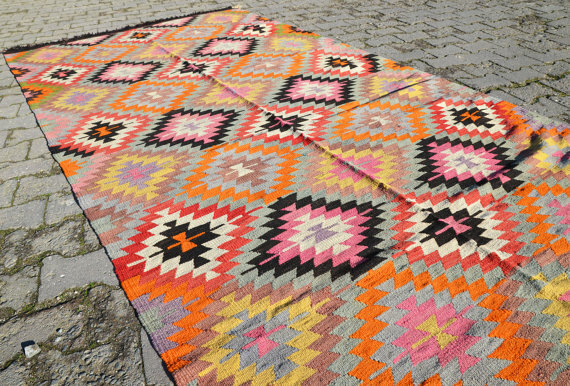 I could go on and on…but I’m sure if you were going to become a fan of Kilim rugs then just seeing these few images worked. Now where are you going to add one to your home…I’m thinking my master bedroom needs one! I want them all! I've been looking for a new living room rug, this just might be the answer!